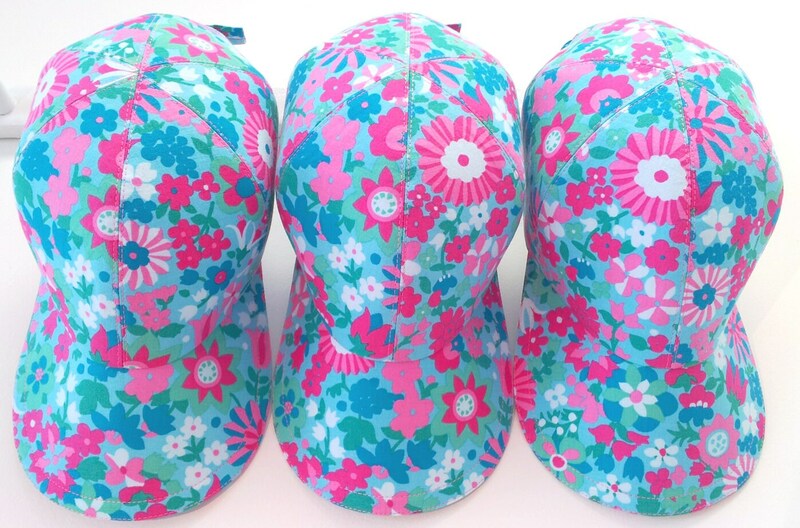 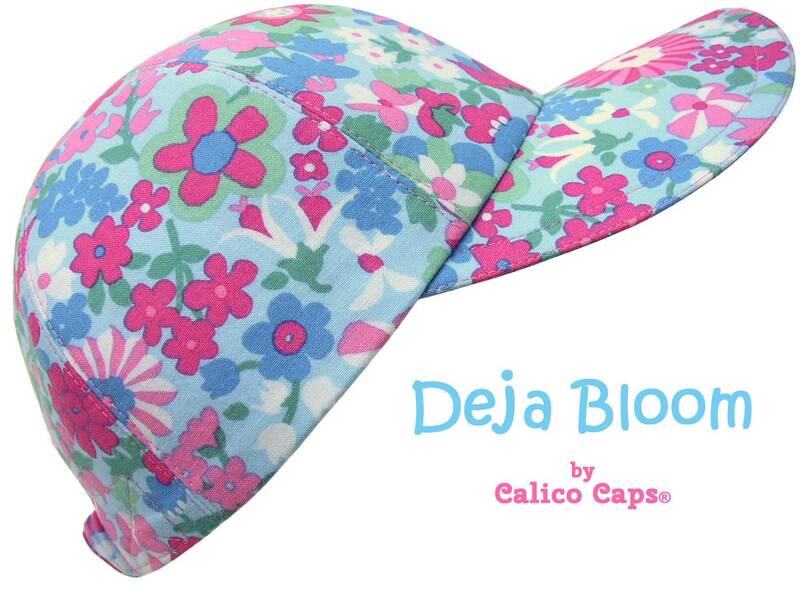 This latest baseball cap is called "Deja Bloom" - A cute floral print with pinwheels, tulips and daisies in shades of pink, jade to seafoam green, blues and white. 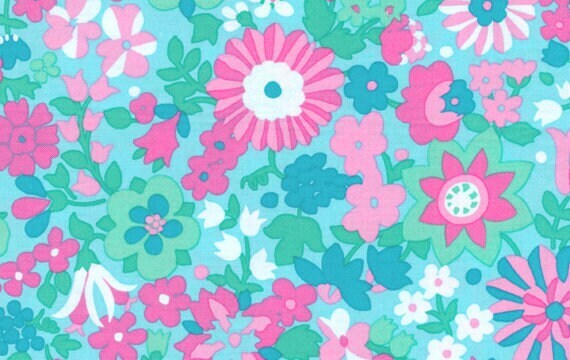 Kind of a retro feel with this one - reminds me of an old-fashioned candy shoppe or ice cream parlor motif. 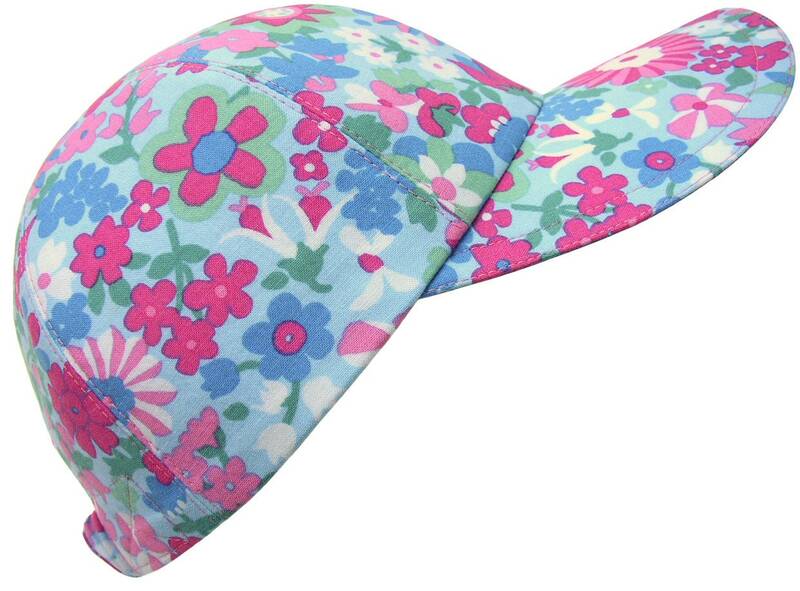 Pink top-stitching, turquoise grosgrain band on the white-on-white floral print cotton lining.